This deluxe gourmet meat and cheese sampler features a carefully selected assortment of artisan meats, cheeses and crackers. 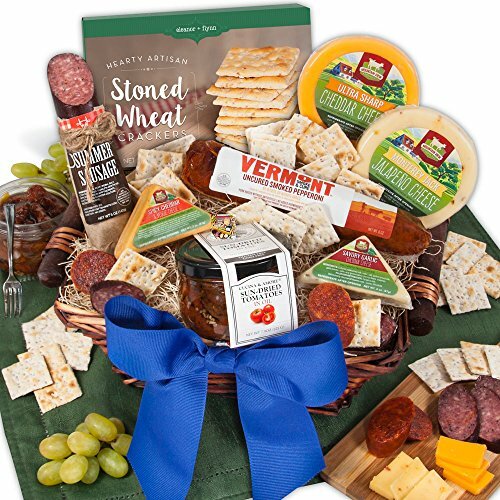 From all beef summer sausage, to slow smoked pepperoni, to four types of gourmet cheese, this is the perfect gift to send for any occasion. They'll have fun pairing the different meats and cheeses with the hearty wheat crackers and sun dried tomatoes! Exclusively from GourmetGiftBaskets.com!